Accumulator Brushes that we offer to our clients are designed using superior quaity raw material which is sourced from trustworthy vendors. Our range is renowned throughout the industry for its quality, and is highly demanded in the textile industry. Also, the range finds its usages in allied areas, like loom fabrication shops. We have marked a distinct and dynamic position in the market by providing a high-quality array of Feeder Accumulator Brush. 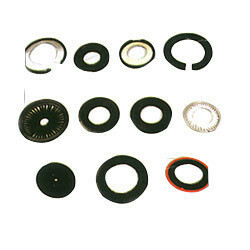 We are proud to offer superior quality Accumulator Brushes as part of our Loom Spare Parts Range. The dimensional accuracy and perfect shaping of our Accumulator Brushes has been praised by our clients. The entire Accumulator Brush Range offered by us, is available easily in bulk quantities at competitive prices. Available with all type of bristle. We are leding manufacturer of accumulator brushes. Our product range is best in all over market. 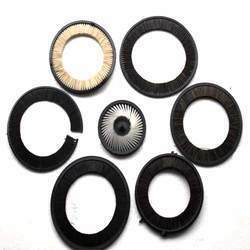 Sulzer spares of accumulator brushes, projectiles, proj.brake bands, sulzer looms front cover and etc. We produce a fine quality accumulator brushes. All kind of accumulator brushes are available here.